Louise Comeau delivering findings on our national energy survey findings (photo: Tania Cheng). 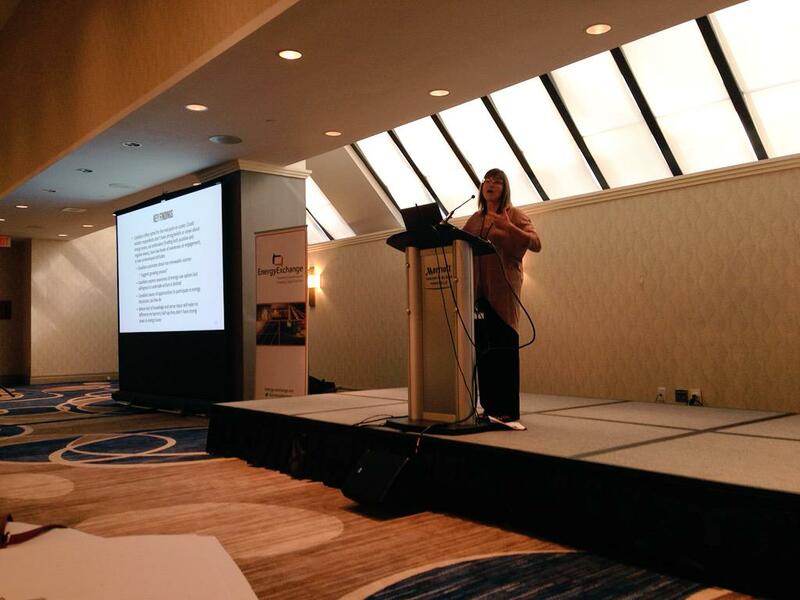 On Wednesday, Fredericton-based collaborator Dr. Louise Comeau presented results from our fall 2014 national energy survey to a conference in Toronto hosted by the Energy Exchange on Energy Literacy. About 70 people were there from industry, education, government, industry associations and academia. By all accounts the response was positive, particularly on the differences between genders that Louise and others have teased from the data. The full report and some papers are still pending, but some analysis of the impact of trust on participation has also been presented and is currently being written up.